We all love the sunny days and warm weather that come along with summer months, but all that time outdoors leaves your clients exposed to the elements. 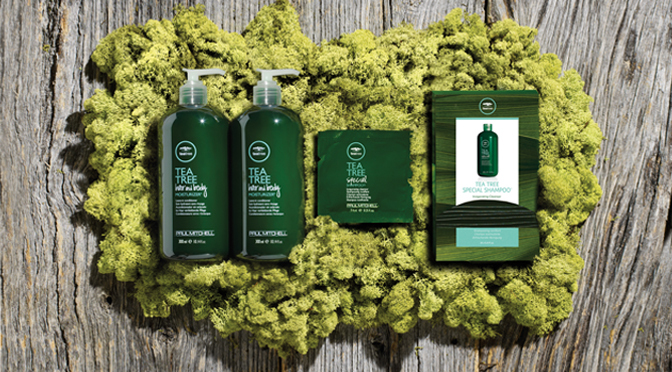 Tea Tree Hair and Body Moisturizer® is an essential recommendation for vacation season and beyond, as it works to calm sensitive skin, soothe and refresh after a shave, and condition stressed strands after wind and sun exposure. Whether clients are island hopping and jet setting or staycationing and kicking back in their own backyard, Tea Tree Hair and Body Moisturizer® is the multi-tasking key to hydrated hair and a healthy, glow all summer long. Quench clients’ thirsty hair and skin with an easy, dual-purpose fix from one of their favorite brands. Treat locks during their next salon service at the Wash HouseSM, then once they’ve experienced the hydrating power firsthand, recommend a bottle to take home for everyday use. A moisture boost that indulges both hair and body this summer? Now the living’s easy. For more product tips and techniques, click here.